Offering combined sessions in all the above. Sessions last from 30 min to 2 hrs. Classes for Chair-shiatsu Therapist 2 or more people required, deposit reqired (50%), $450 for a 25 hr certification course. I offer trainings in Insight Bodywork, Shiatsu, Traditional Thai Massage (Nuad Borarn), Breema Bodywork, Marma Massage, ampuku, oil massage, more. Private sessions available by appointment only. 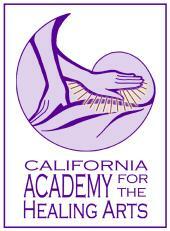 CenterPoint is a healing arts institute that offers career training in Shiatsu and Massage Therapy. We have a bodywork clinic where we offer Shiatsu and Massage Therapy by students and professionals. 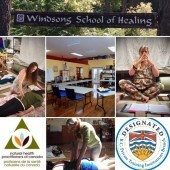 Workshops and seminars on a variety of healing topics are regularly offered. 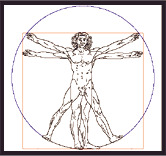 Cortiva Institute - Desert Institute of the Healing Arts offers comprehensive educational opportunities based on high academic standards in the science and education of massage therapy and bodywork. Our courses are taught by dedicated educators in the field who incorporate the latest information and research to provide you with a substantial and highly relevant education. ITM offers 3 courses of study, and several certification and continuing education programs to help you learn massage at 6 locations in NJ. The Massage & Bodywork program prepares you to be a multi-faceted therapist trained in Swedish and Medical Massage, the Massage Therapy & Personal Training program offers a dual certification as both a massage therapist and personal trainer, and the Eastern Bodywork Program is for those interested in becoming a Shiatsu practitioner or wants out of state licensure. 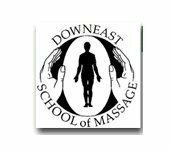 The Downeast School of Massage trains individuals in the art and science of therapeutic massage for an entry-level professional career, for personal growth, or for continuing education. The school is the oldest school in Maine and is COMTA accredited, state licensed, and VA approved. DSM is the oldest massage therapist owned and operated, COMTA accredited massage program in the State of Maine. COMTA, the Commission on Massage Therapy Accreditation, is approved by the federal Department of Education and is the only accrediting commission in our industry that has been given this distinction. Other accrediting agencies that are Department of Ed approved exist, but they have not been founded by our industry, do not carry the same required standards, and do not have the same investment in our profession as COMTA does. COMTA is one of three accrediting commissions devoted to complementary medicine; the other two represent chiropractic and acupuncture. Mountain Dove Wellness provides a variety of holistic therapies to help clients lead healthier lives. Premier among these is Ohashiatsu(R), a method of Oriental healing touch. 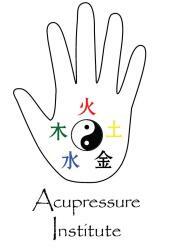 This unique form of acupressure balances the body's energy, relaxes the body and mind, and rejuvenates the spirit. Using pressure points, stretches and limb rotation, Ohashiatsu helps the body to heal itself. Holistic consultations may also include: Raindrop Technique, Qigong exercise, reflexology, holistic health, nutrition, voice analysis, Sound Therapy, Feng Shui, and Space Clearing. Classes are offered in Ohashiatsu and Qigong. 700 hour Traditional Zen Shiatsu day & evening classes. Ongoing Tai Chi, Yoga, Qigong, Tui Na, & workshops for students & public. Clients seen.